Did you know that stress has been called “the silent killer” and can lead to heart disease, high blood pressure, chest pain, and irregular heartbeat? In fact, stress has been linked to the six leading causes of death: heart disease, cancer, lung ailments, accidents, liver cirrhosis, and suicide. The top symptoms associated with stress include fatigue, headache, upset stomach, muscle tension, change in appetite, irritability, nervousness, and lack of energy. 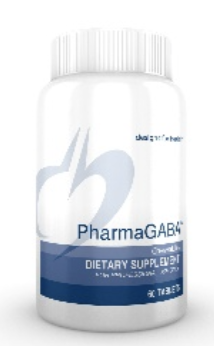 PharmaGABA™: GABA is a naturally occurring amino acid in the brain and is a major inhibitory neurotransmitter in the central nervous system (CNS). GABA serves as a critical calming agent for the body, helping to combat stress and anxiety. 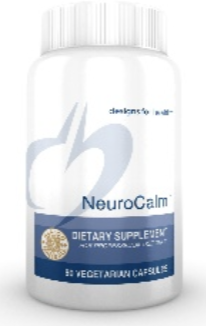 NeuroCalm™: NeuroCalm™ is designed to promote activity of GABA and serotonin, which may help support healthy mood, cravings, and feelings of calm, satiety, and satisfaction. 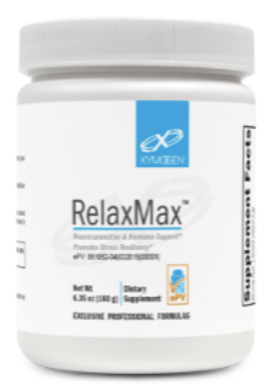 RelaxMax™: RelaxMax™ supports the body’s natural synthesis of catecholamines, the inhibitory neurotransmitter GABA, hormonal balance, and healthy glucose metabolism. RelaxMax aims to promote a calm, relaxed, well-balanced emotional and physiological state. doTERRA Lavender Touch Essential Oils: Lavender is widely known for its calming and relaxing properties and ability to soothe occasional skin irritations. doTERRA Lavender Touch combines Lavender essential oil with Fractionated Coconut Oil to provide these same benefits to individuals who have delicate or sensitive skin. Una Biologicals Lavendar Organic Body Butter: This emollient body lotion provides the relaxing effects of lavender while revitalizing dry skin, leaving you feeling soft and supple all day long. – Men are more likely than women to develop certain stress-related disorders, including hypertension, aggressive behavior, and drug and alcohol abuse. – The lifetime prevalence of an emotional disorder is more than 50% and is often due to chronic, untreated stress reactions. – 75 – 90% of all doctor’s visits are for stress-related aliments and complaints. – Aim for at least 30 minutes of exercise, three times per week to boost your body’s production of your brain’s feel-good neurotransmitters, called endorphins. – Start your day right with a nutritious breakfast. Well-nourished bodies are better prepared to cope with stress. – Obtain adequate sleep to fuel your mind and body. Feeling tired will increase your stress and may cause you to think irrationally. – Limit your consumption of caffeine, alcohol, and nicotine. Caffeine and nicotine are stimulants and will increase your level of stress rather than reduce it. – Keeping a stress diary for a few weeks is an effective stress management tool and will help you become more aware of situations in your life which cause you to become stressed.